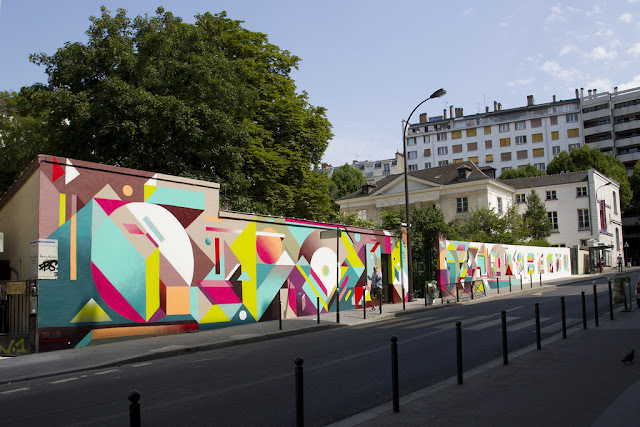 Lyon-based artist Nelio recently stopped by Paris, France to work on this new piece in the 20th district. 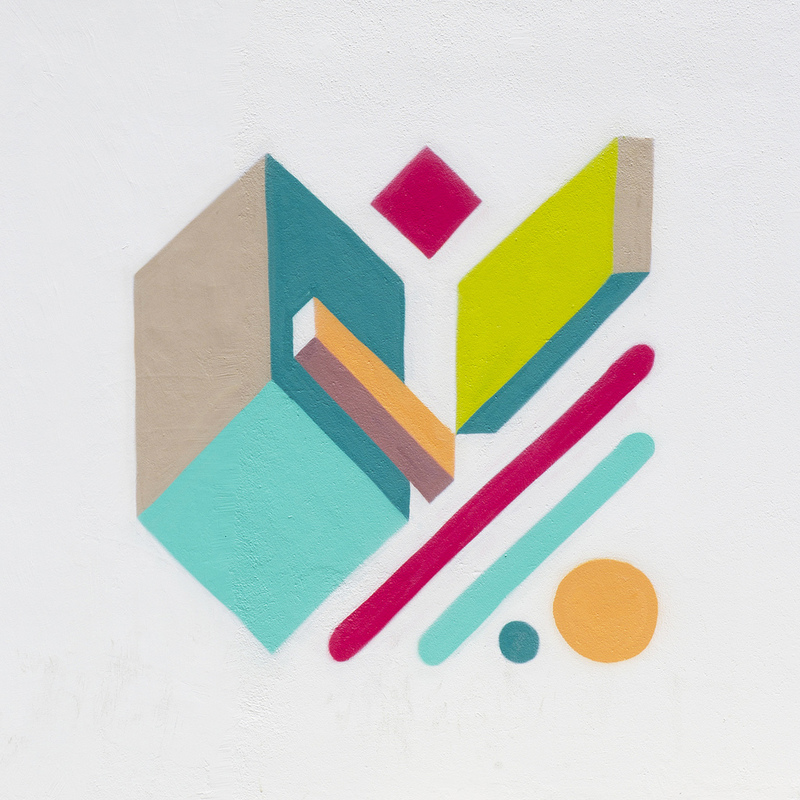 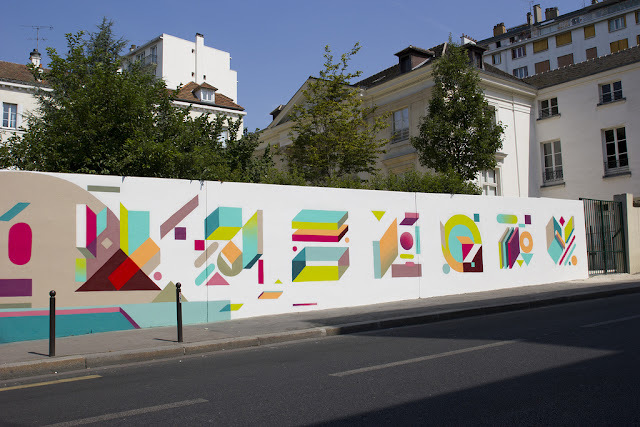 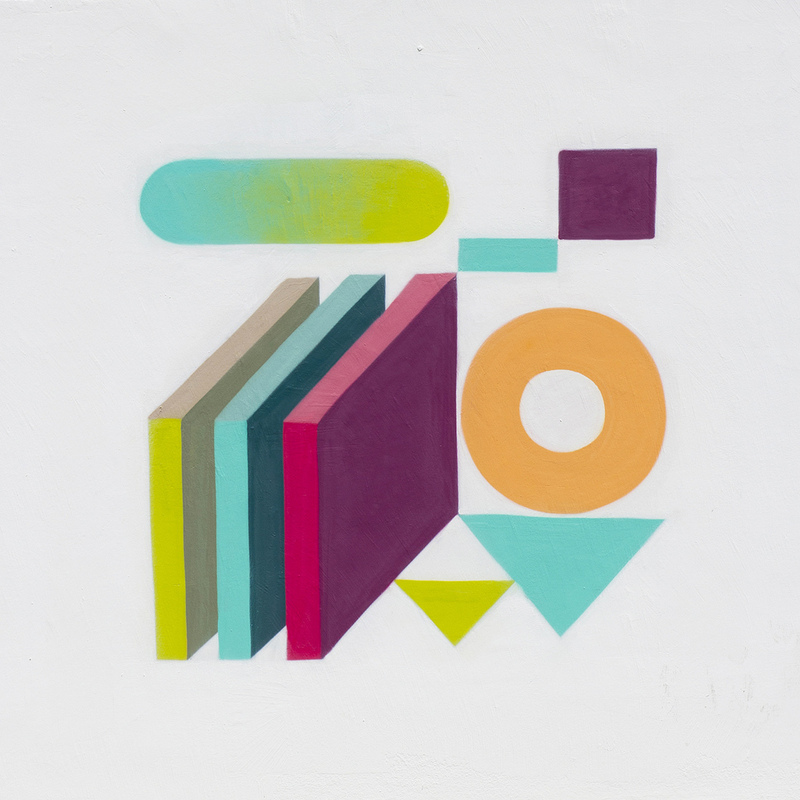 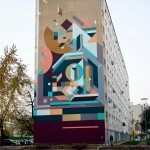 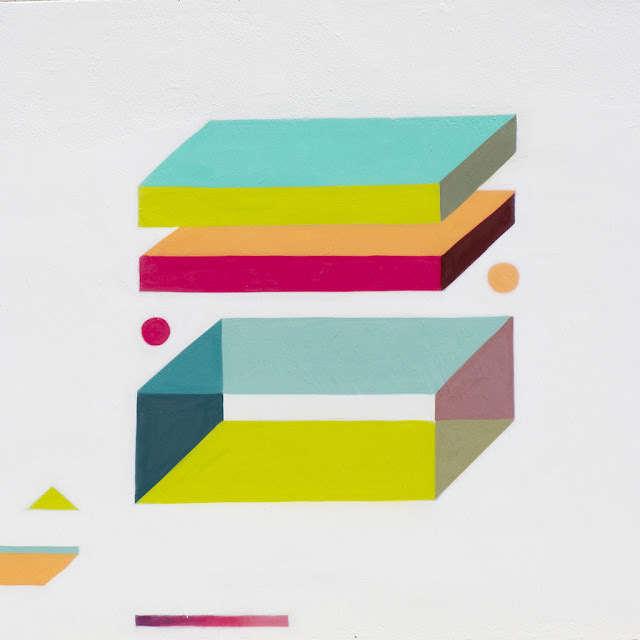 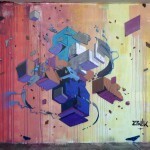 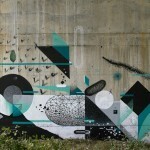 Nelio transforms grey urban walls with these amazing abstract spray painted pieces. 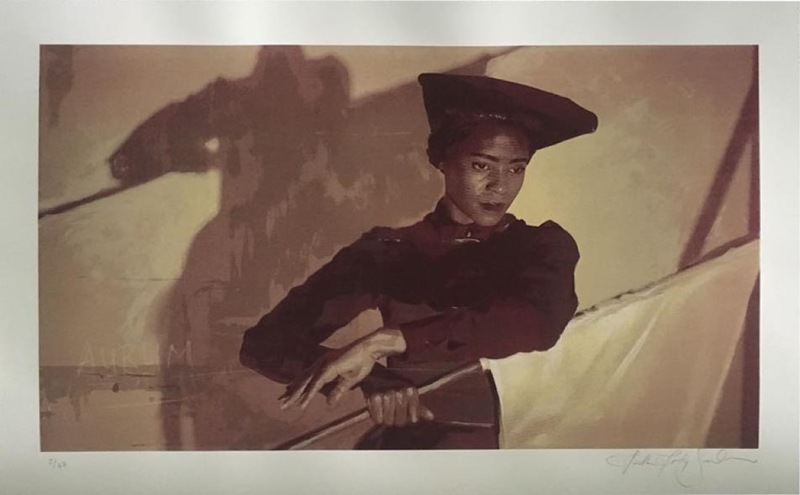 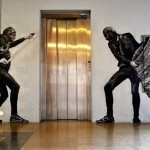 His work is Graffiti rooted but incorporates elements of art history, illustration, lettering, architecture and graphic design. 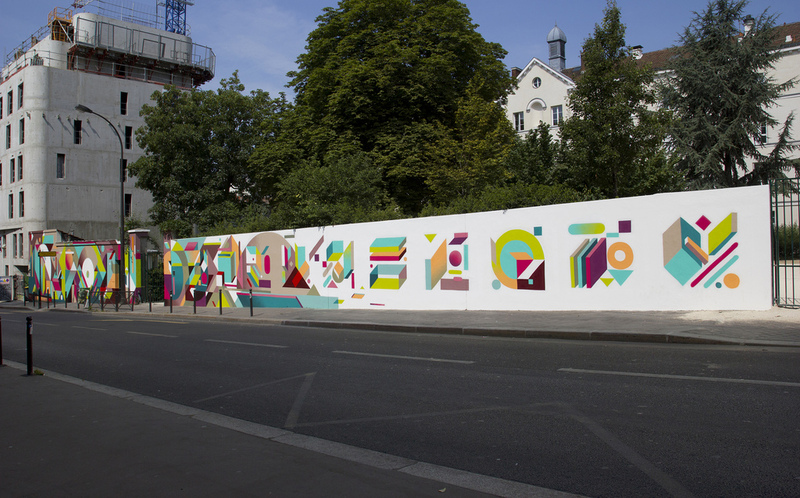 See the wall in full detail after the jump and if you stop by the city of lights, you’ll find the piece at the “Carre De Baudouin”.